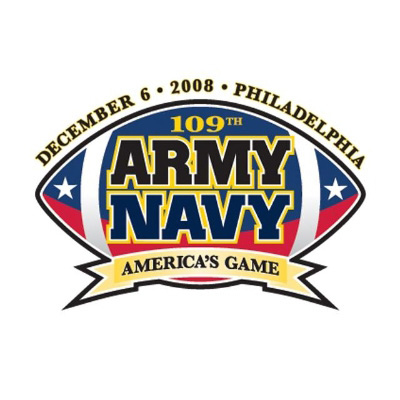 The annual Army-Navy game is one of my favorite days of the year, If you are one of those folks that believe that football games are only about the final score, then the Army-Navy game isn’t for you. If you missed the 2008 version of the annual classic then you missed one of the finest games of all time. The score of course, would never tell you that, moreover the timeout that Army called with just eleven seconds left in the game might cause an everyday Football coach or armchair quarterback to question the wisdom of running another play, always with the inherent risk of injury or disaster when down by a score of 34-0. That is exactly what Army did on Saturday late in the fourth quarter. Football purists were no doubt scratching their heads or complaining that it was a pointless use of a timeout when no change could be made in the final outcome whatsoever. This game, the Army-Navy game, is not about scores, it is about drive, desire and reaching a goal, without regard to how improbability it might be. Army’s fullback, Collin Mooney, came into the game needing 53 yards to set the all-time Army single season rushing record. That may be somewhat dim looking in the bright lights of SEC, Big XII, PAC-10 or Notre Dame Football history, but it is important to the Army. With just second left to go in a game that could not be won, Army’s Mooney was just one yard short of the record. The entire stadium knew it. The millions watching on TV knew it. The coaching staffs of both teams knew it and all the players knew it. Army called the time out. Exhausted and weary, the Army offense, weak and ineffective throughout the game huddled – although all watching knew what was coming. An off tackle run to the right by Mooney was met by a Navy Linebacker and the two men exploded into the air twisting and falling to the ground as the ball was reached forward. Just a two yard gain, but it might have been the toughest two yards in his career. As the clock expired on a game that was long before decided, Collin Mooney stood proudly and was congratulated by his Army teammates and by his Navy opponents who did not concede anything. He’d earned it and in that moment the true meaning of this game was displayed. I don’t know where Lt. Mooney will be in a two or three or even a dozen years. I know that on Saturday he demonstrated leadership and determination and drive that will make him a leader of men and women in our Army. The score may not agree, but with men like that, Army won on Saturday. So did we. Posted on December 6, 2008, in Football, Navy Football, NCAA and tagged Army, Football, Navy. Bookmark the permalink. 1 Comment.